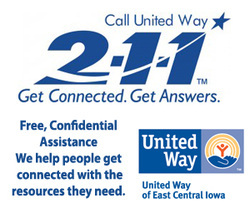 2-1-1 is the national abbreviated dialing code for free confidential access to health and human services. Realizing people have a variety of means to seek out information, we offer you this searchable website as an alternative to calling and speaking with a trained specialist in your area. Please remember, that if you have any questions on information you have found here or need additional assistance in finding help, our staff is available 24/7 all year long. To start a search, select the Service tab on the left to see the variety of service topics covered within the database. Select the one that best matches what you are looking for. From this screen you will then be able to further narrow your search by a service or by location. You can also search by the Quick Search field. Start typing one or two words that describe the service you are looking for. A listing of services will display and when you see one that matches your need simply click on it. You will then be able to further narrow your search by location. Clicking on the Provider tab allows you to choose to search by the name of an agency or the location of an agency. The For Service Provider tab is for agency providers who are in need of updating or adding their information to our website. The Iowa 211 service provides a way to facilitate communication about health and human service resources. Agencies are encouraged to ensure that their information is updated. Click here to download a handout with information on Iowa 211 efforts and plans. Also be sure to visit the broader 211 web page (www.211.org).